One of the first things you’ll want to know before deciding whether an apprenticeship is for you is how much you'll get paid. Most young people think apprentices get less than £200 per week – so you might be surprised to learn that the weekly average is £257. But did you know there is a minimum apprenticeship wage as well? What is the minimum apprenticeship wage in 2018? Currently, the national minimum wage for apprentices is £3.70 per hour. The minimum apprenticeship wage applies to those aged 16-18, and those aged 19 or over who are in their first year. All other apprentices should be paid the national minimum wage for their age, or more. The apprenticeship wage often increases. Prior to April 2018, the minimum apprenticeship wage was £3.50. What is the UK national minimum wage in 2018 and how does this affect apprentices? Apprentices aged 19 or over who have completed at least one year of their apprenticeship are entitled to the national minimum wage. This also increased in April 2018, to £5.90 for 18-20 year olds and £7.38 if you're 21 or over. There is also something called the "national living wage". This is basically a minimum wage for people aged 25 and over. It was introduced in April 2016 and is currently £7.83 an hour. So what is the minimum I will earn? Can I earn more than the minimum? Although these rates may seem quite low, many employers actually pay more than the UK national minimum wage and trade unions often push for employers to pay over and above the minimum rate too. I started my apprenticeship before the increase. Did my pay go up? Remember, the rates above are legal minimum rates and very often, employers do pay apprentices more than this. As you become more experienced and gain more responsibility in your apprenticeship, it’s recommended that your pay should go up to reflect this. Although you may not be earning a lot to begin with, over time, you will start earning more. When you complete your apprenticeship and take on a permanent job, it's very likely your pay will go up again. 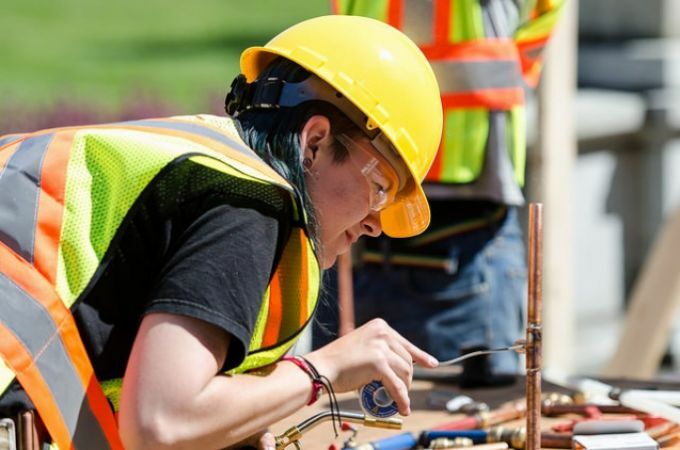 Thanks to the apprenticeship wage, you get the opportunity to "earn while you learn" and as long as you’re under 24 years old, the government will pay for your training. Now I know what I'm entitled to. But what can I expect? Above and beyond the legal minimum, your pay rate is set by your employer. This means the amount that apprentices are paid varies workplace to workplace, and there are some external factors that come into play like the cost of living in your area. In London, for example, the cost of living is higher than elsewhere in the UK, so people tend to earn that little bit more. If you like the idea of 'earning while you learn' but want to study for a university degree, have you considered doing a Degree Apprenticeship? This way, you can combine workplace training with university study, and get paid the minimum apprenticeship wage or more.